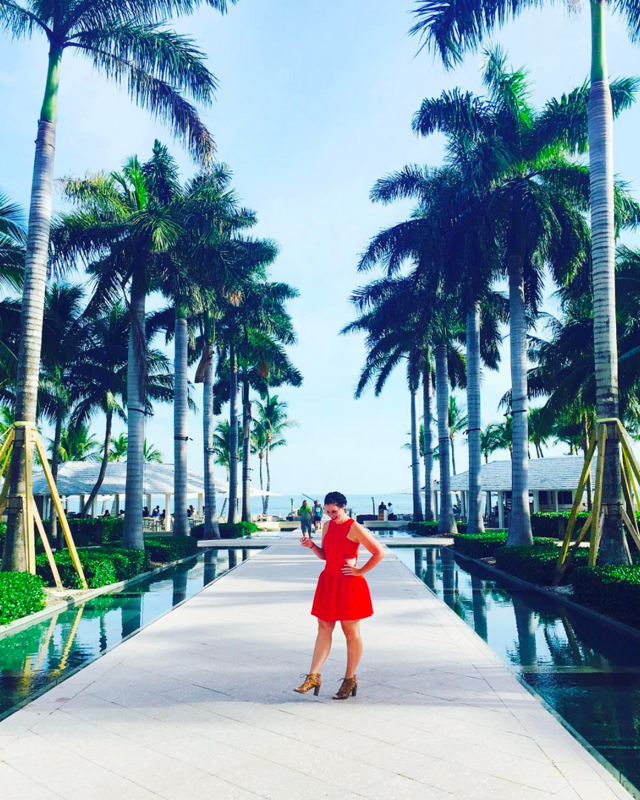 I still believe in the good ole fashioned weekend post on Monday, so sue me! 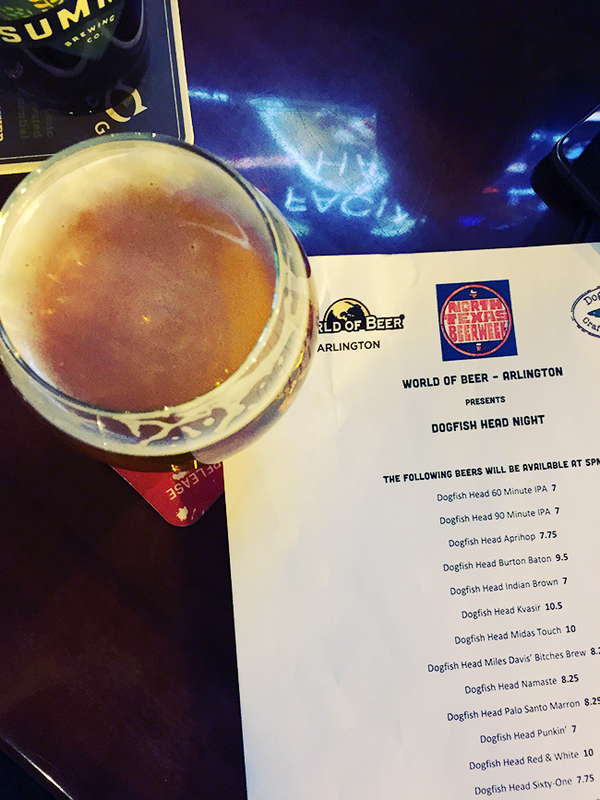 On Friday, I went to what I am going to call a happy unhappy happy hour event at The World of Beer which featured Dogfish Head brewskis. The beer prices were absurd, as you can see below, but I was happy to be hanging out with CB and his friend (and now my friend because that's how this works here right?!) Vanessa! CB and I split the flight which was only $15 (hah, only $15) and allowed us to choose 4 different beers to test. Naturally, being the moochers hillbillies cheapskates intelligent people we are, we of course chose the 4 most expensive beers on the list. 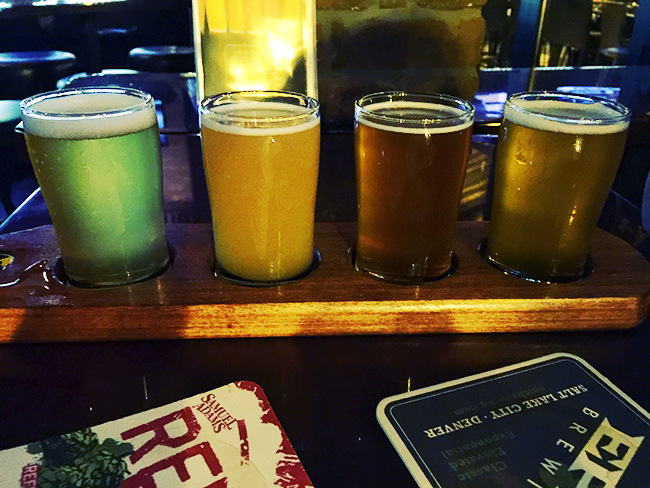 This event was part of North Texas Beer week, which was a 10 day long event, at different breweries, bars and locations all over the metroplex that featured mostly local, and some national craft beers. Sometime around 9pm and no dinner later, I learned why the beers cost so much. Sarah, meet 20% alcohol content per beer, also known as the Dogfish 120 minute IPA. Oh, hello Sarah. Lovely to meet you and goodnight. See you tomorrow around 3pm. Sarah out. On Saturday, I was so excited to head to my very first NHL regular season game. I had been to one pre-season game before, but this was so much cooler. 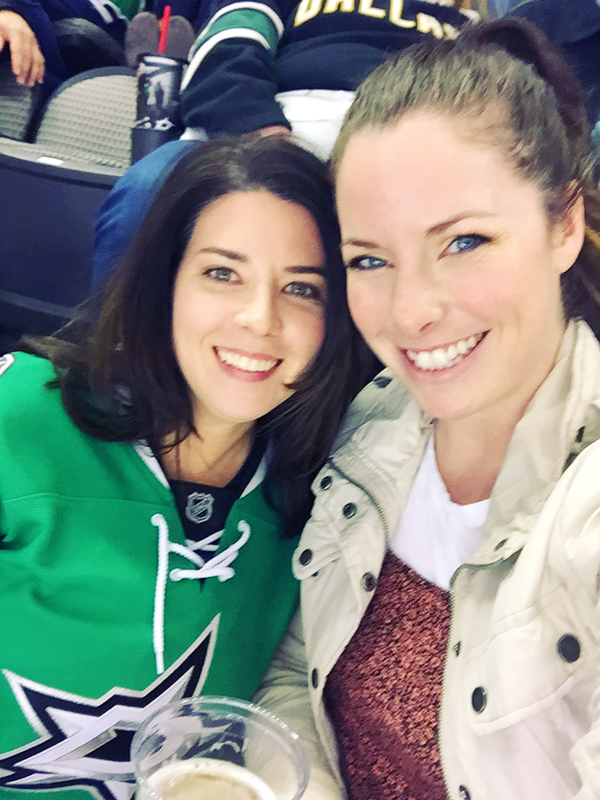 Although I had no idea what the rules were, I went with Vanessa who is the biggest Dallas Stars fan I know... and luckily for me, a very knowledgable season ticket holder! We had a blast and I even learned a thing or two! Including what a hat trick is. For those that are totally clueless like I am, that is not in fact when a bunny is pulled from a top hat after the magic words Abra Cadabra are chanted, but rather when one player scores three goals in the same game. I would have been equally as impressed had a bunny appeared, but ah well. Maybe next time. 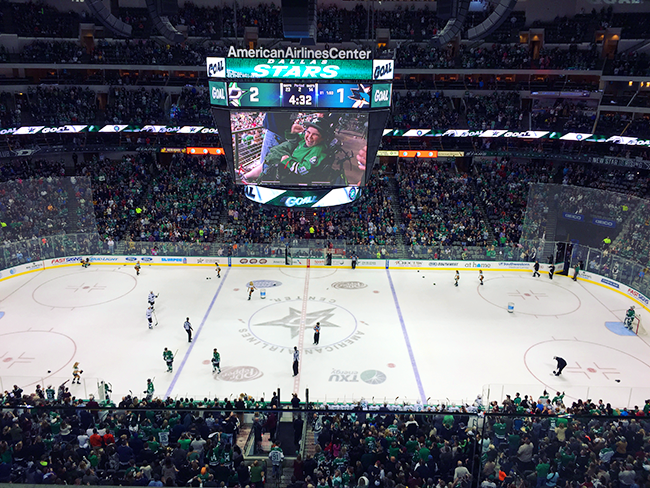 The fans throw their hats onto the ice in celebration. I thought that was really neat. Although the score hadn't been updated yet, this image was right after Tyler Seguin scored his third goal of the night. You can see the cheerleaders picking up the hats off the ice. 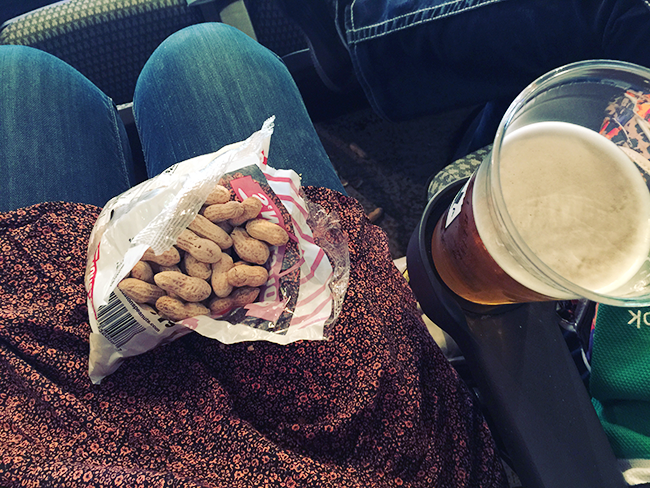 Meanwhile, I had peanuts and a beer with a doesn't-place-hair-on-your-chest alcohol content. What's not to love about hockey season?! I'm already a fan and I'll be back as soon as Vanessa will have me again! Oh, and per the usual, Sunday was spent on the couch from 12pm-10pm. Because, football. I'll be back tomorrow with an update on how my mascot predictions fared! Gee is back at the vet again today because of a really bad jaw/mouth infection he has dealt with on and off for years. I'm a little anxious so if everyone could keep my little guy in their thoughts today I would appreciate it! I feel so special being included in your blog!! Carl is happy to know that there is someone to replace him at games, so the more you can go, the more I'll take you. In fact I need a date for the 11/20 game, so if you're free, it's a date. Looks like so much fun! I haven't been to a NHL game in forever! that needs to change! 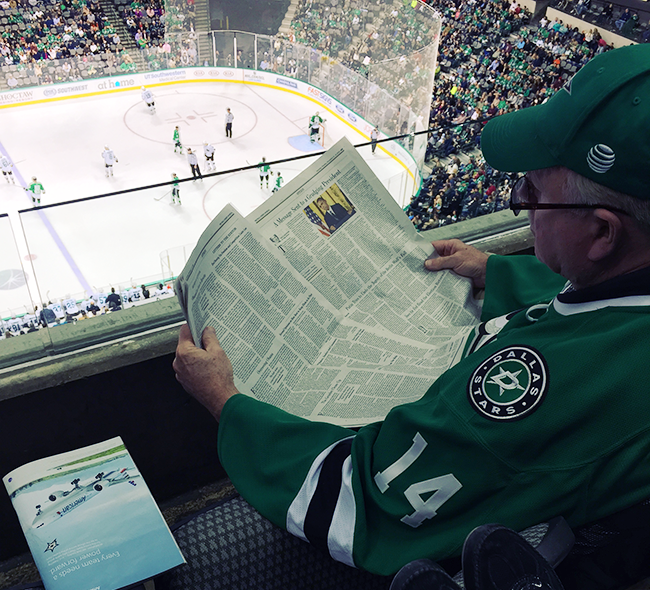 My parents-in-law love hockey and have yet to drag me to a game! Perhaps I'll go, especially if it means I get to feel cold for once in November! That looks fun! I've never been to a hockey game and I really know nothing about the sport, but if they serve beer it can't be too bad, right? A World of Beer just opened by my apartment..it's way too expensive, but I love it! I've never been to a hockey game, sounds like fun! I hope Gee is ok! Looks like such a fun weekend! We used to always go to the minor league hockey games when we lived in Pensacola and they were a blast! We have World of Beer here too and I'm not a fan. There are so many tap houses in Denver and WOB always seems to have high prices and bad service. PS. I just learned what a hat trick was on Thursday! Random, but I didn't know cheerleaders could be on ice. Surely they don't do pyramids or anything, right? First, get well soon Gee! And second, today I learned that hockey has cheerleaders! I didn't know that was a thing, nor do I understand how it works, but it's a surprisingly interesting fact. oh, poor little Gee! I'm a little jealous that you're close enough for an NHL game! they took our team away because those of us here in Atlanta are apparently bad fans. whoooops. We practically live at our WOB....but beer prices much be a lot cheaper in your area than here because around $7 is typical for a fancier craft beer around these parts. That hockey game looks so fun! Oh yeah that 120 minute IPA is NO JOKE! I love craft beer but I can't drink on them all night because, well hangovers. So fun! I've never been to a hockey game but maybe this winter I'll make that happen! Although I prefer football, hockey is the best live sporting experience in my opinion! So much fun to go to games and you're super lucky to have seen a hat trick in person! All the ladies love Seguin. ;) I'll be thinking of Gee, of course! 120 Minute it A-MAZE-ING. My hubby and I currently have a 4 pack of it sitting at home "aging" some from our trip to the brewery this summer. We also have 90 Minute on tap in our keg-o-rater. To say we are Dogfish Head fans is an understatement. 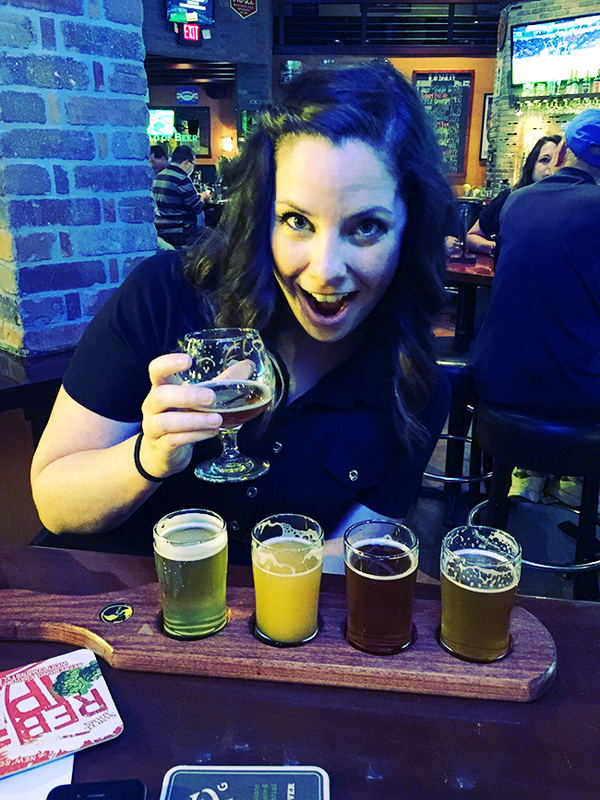 We had the luck of touring the brewery this summer for the hubby's birthday and it was sooooo much fun! Definitely worth it if you ever get to Delaware. I am thinking we are going to make it an annual trip to the brewery since it is only a little over 2.5 hours away from us. And yay for hockey games!! We are headed to our first Flyers game of the season in a week (it was my paper 1st anniversary gift to the hubby) and I couldn't be more excited! !